Comedian Kieran Hodgson, as self-described 'musical educator and inspiration' Ralph Lewis, presents the music of Mahler, with help from John Sessions and Colin Hoult. 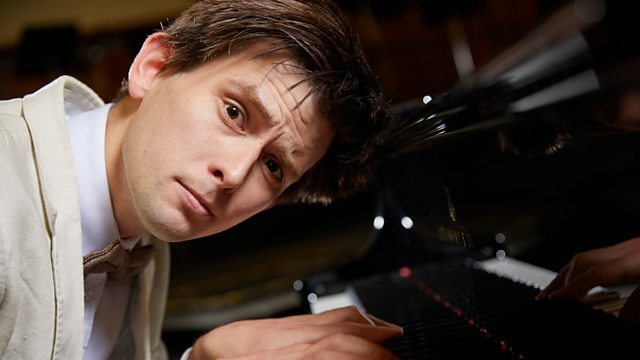 Critically-acclaimed comedian Kieran Hodgson is joined by John Sessions and Colin Hoult, in the second of a new series of comedy intros to the great composers. Can self-described 'music educator and inspiration' Ralph Lewis, the man behind 'In the Bedroom with Brahms' and 'Eating 5 A Day The Elgar Way'persuade self-confessed 'enemy of culture' Paul, that Mahler's worth a listen, and not just a load of old cowbells. Performer: Philharmonia Orchestra. Conductor: Otto Klemperer. Performer: New York Philharmonic. Conductor: Leonard Bernstein. CBS MasterworksAlbum: Mahler Symphonies Number 6 & 8. Performer: Vienna Philharmonic. Conductor: Daniel Harding.